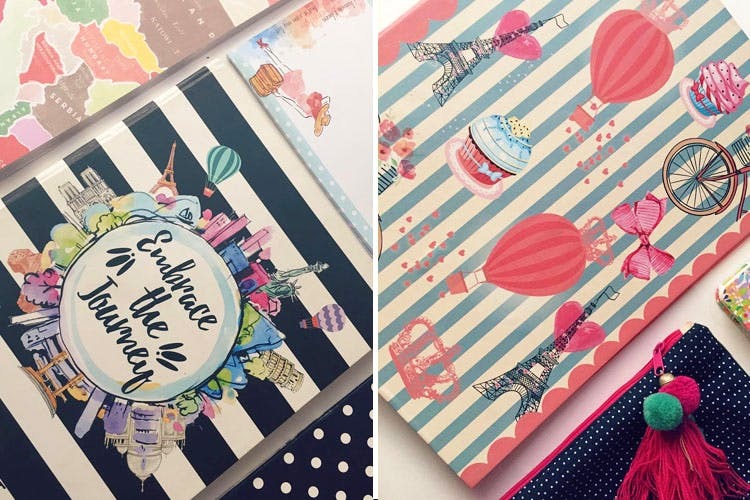 Theme in a Box, is an online Instagram store for personalised stationery and personalised event styling. Reasonable on the wallet and a treat to the eyes! Absolutely love the tastefulness with which the stationery is designed. They are extremely particular about the quality and the prices are affordable so that’s always a plus point! A little birdy tells me they have a lot of new products launching soon so keep an eye out for that! They need a walk-in store NOW! They have so much of stationery it’s difficult to pen it down, but I’ll try – notebooks, planners, recipe books, baby books, travel planners, wedding planners, notepads, clipboards, invites, packaging for gifting / return gifts, gift tags, letter writing sets, etc! for events they make everything from scratch – the set up, the backdrop, cake and cupcake toppers, popcorn tubs, and the sky is the limit! Their stationery is anywhere between INR 350 to INR 2,000 and for event styling the scope is large and depends on the requirement.